13. Wrap the obi end around the knot again. 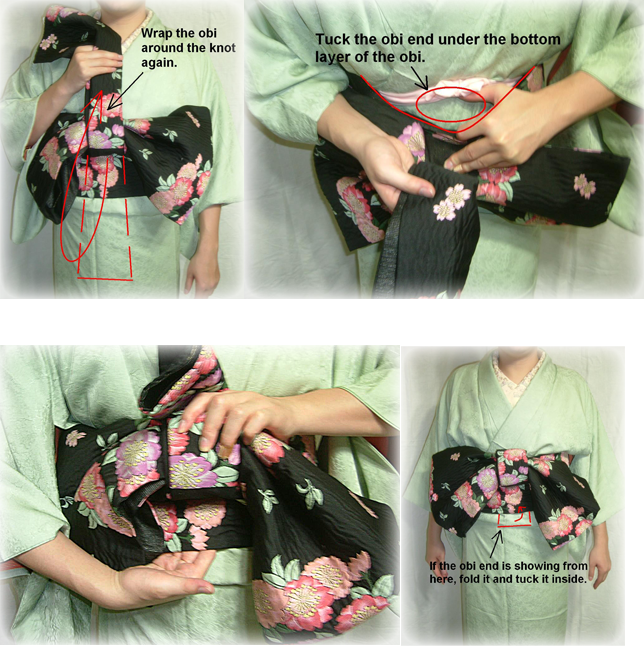 This time, tuck the obi end into the space between the bottom layer of the obi and your body. If the obi end is so long to appear from the space, fold it and tuck it into the space again. 14. Slide the obi clockwise so that the knot comes to your back. 15. 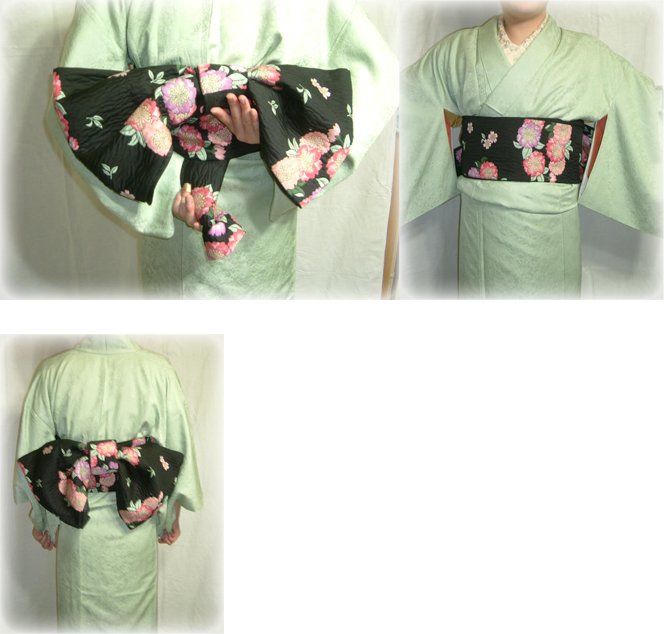 Fix the knot again on your back, and tying an obi process is all completed here.